Posted on June 20, 2016 by David Tate, Esq. 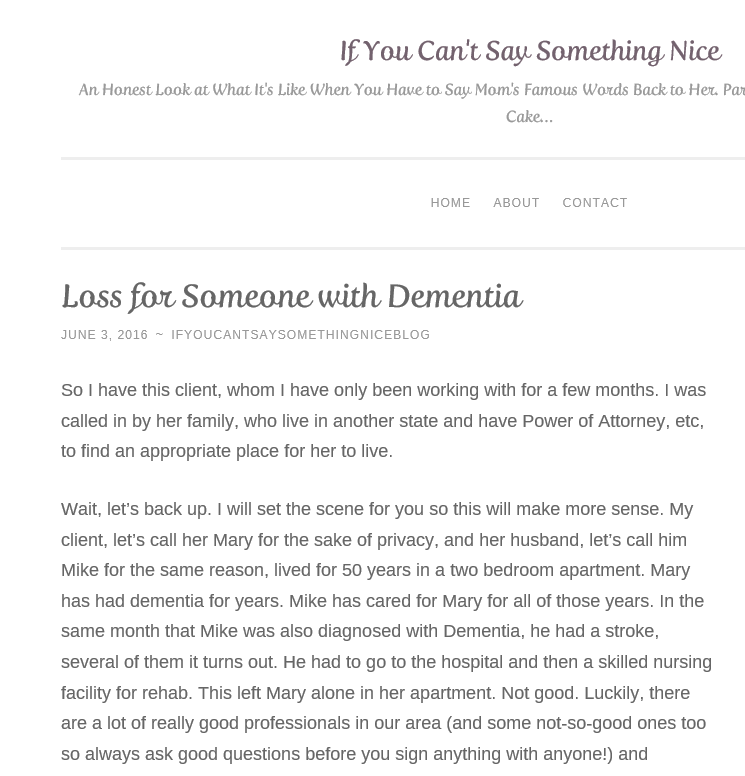 The following is a link to a post from Stephanie Peters’ blog titled “Loss for Someone with Dementia.” It is good for me to step back from the day-to-day legal involvement and reflect on the human aspects. And I note Stephanie’s comments about talking, or not, to someone with dementia about the loss of a spouse or other loved one. Here’s the link to Stephanie’s post, CLICK HERE. This entry was posted in will, estate, trust, elder, contest, fiduciary, decedent, intent, disability, conservatorship, elder abuse, elder protection, trustee, beneficiary, executor and tagged caregiver, conservatorship, dementia, elder abuse, executor, power of attorney, probate, trust, trust administration, trustee. Bookmark the permalink.